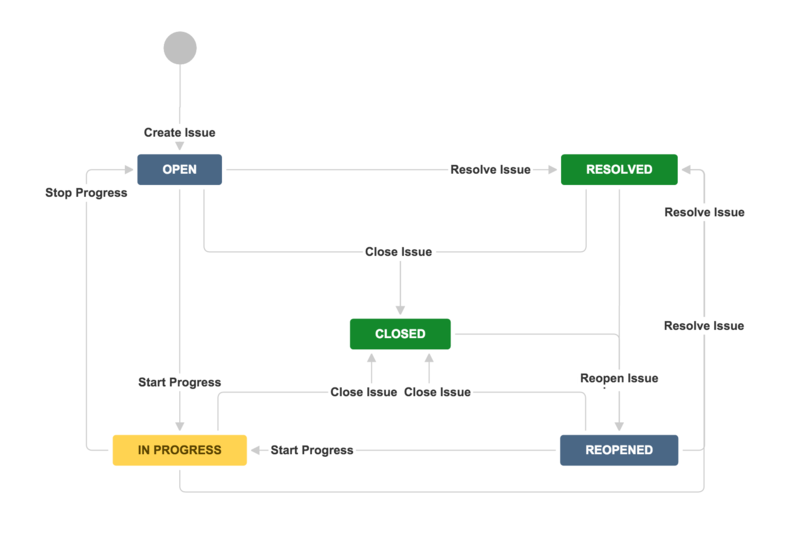 Setting the resolution fieldA JIRA workflow is a set of statuses and transitions that an issue moves through during its lifecycle and typically represents processes within your organization. There are default built-in workflows that cannot be edited; however, you can copy and use these workflows to create your own. In JIRA, an issue is either open or closed, based on the value of its 'Resolution' field — not its 'Status' field.